Nine of the most passionate RIDGID® fans recently experienced the trip of a lifetime to the RIDGID world headquarters as part of the 2nd Annual RIDGID Experience Contest. 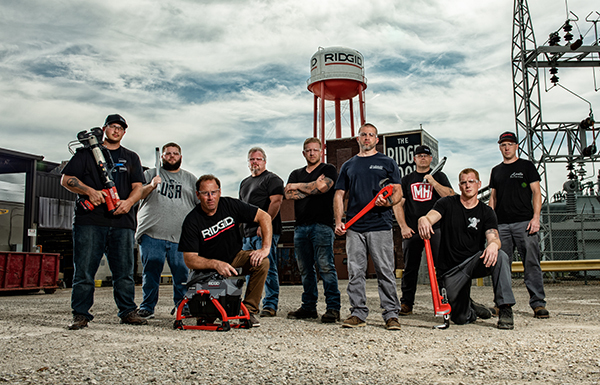 The all-expenses-paid VIP trip included a tour of the headquarters and the opportunity to build their very own iconic RIDGID custom pipe wrench, take part in a photoshoot for an upcoming brand campaign, go walleye fishing on Lake Erie and more. “I’ve been using these tools for 15 years and being here and seeing the machines and people who make the tools, it’s emotional,” said Bobby Scirica, contest winner and plumbing – service technician from Arizona. He describes the SeeSnake® Camera as one of his favorite RIDGID tools to use on the jobsite. Details of the next RIDGID Experience Contest will be announced in early 2019. Stay tuned to the RIDGID Facebook page for details.